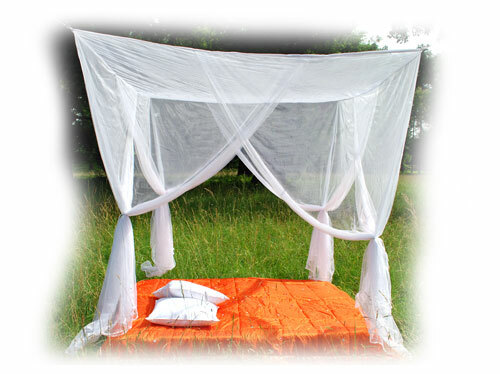 Transform your bed in a four-poster bed. For dreams of one thousand and one night. Laluna is quite similar to our BigSky models but out of a light weight material.Therefore its easy to hang it and take it anywhere you like. Height: 240cm and fitted with 4 entrances which have an overlap of 60cm. Laluna has to be hang on 4 points and has 4 entrances.